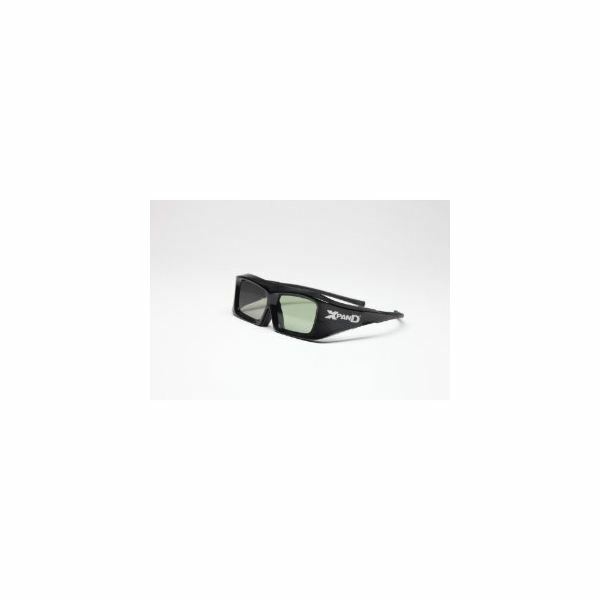 Review of XPAND X103 Universal 3D Glasses: Will They Meet Your 3D Viewing Needs? One of the biggest problems in consumer electronics in terms of 3D content is that only certain types of 3D glasses work on certain types of 3D displays. XpanD claimes to have solved this problem, but have they really? This pair of universal 3D glasses offers a shape that fits comfortably in one’s face. This level of comfort is maintained for only a limited period, though, so if you are planning to have a 3D movie marathon, you might want to reconsider using this pair of glasses. They have a boxy look that may not seem as sleek as other types of consumer-grade 3D glasses, but they are sturdy and quite lightweight making them a joy to wear, if not attractive to look at. Most of the 3D glasses available come with a particular display, such as a TV or computer. The problem with these glasses is that they will only work with the display device that they accompany, rendering them useless when it comes to using other types of 3D-enabled displays. You can use this pair of 3D glasses with all the available TV sets that support 3D functionality. This means you can use them to view your own 3D-enabled TV or bring them to a friend’s house where you can also use them to view his 3D-enabled television. Not having this device tied down to a single type of TV gives them more value. They are not confined to only TV content, either. You can also use them for 3D-enabled computer monitors and 3D-enabled cinema screens. These are truly universal devices for 3D viewing. Aside from the XPAND X103 universal 3D TV capability, the glasses feature full 1080 3D resolution on both eyes, giving you a wide 3D viewing angle for all types of 3D-enabled devices. They have a high transmission ratio that is designed to make viewing bright images comfortable and not a strain on the eyes. In addition to this level of comfort, the shuttering speed is fast enough to prevent eye fatigue and headaches that often occur when viewing 3D content using inferior 3D glasses. This pair of 3D glasses work as advertised, which means you can expect them to function with all kinds of 3D displays. The only issue with them is the way colors are seen through the glasses when compared to 3D glasses manufactured by display manufacturers. They vary slightly in terms of color warmth, but if that is not an issue for you, you can consider this product having excellent performance. Although this device functions as a truly universal set of 3D glasses, you will have some issues in colors across different brands of displays. If you are going to use 3D glasses on a single device, it is best if you stick with the brand specific pair of 3D glasses. If you do not mind the color differences, though, this is an excellent buy for your electronics collection. You can get the XpanD X103 Universal 3D glasses for $94.67.